: EVE Talk, "Power, Revenge, Love: Why Kids Get Shakespeare" at Women's Voices, Women's Visions Arts & Activism Symposium, Skidmore College, NY. September: Private author reading & signing, Sherman Oaks, CA. October: Author reading & signing, Audrey’s Books, Edmonton, Alberta, Canada. October: Book launch, Walgrove Arts Celebration at Walgrove Elementary School, Los Angeles, CA. October: Victoria School of the Arts, Edmonton, Alberta, Canada. October: Memorial Composite High School, Stony Plain, Alberta, Canada. February: St. Francis de Sales School, Sherman Oaks, CA. 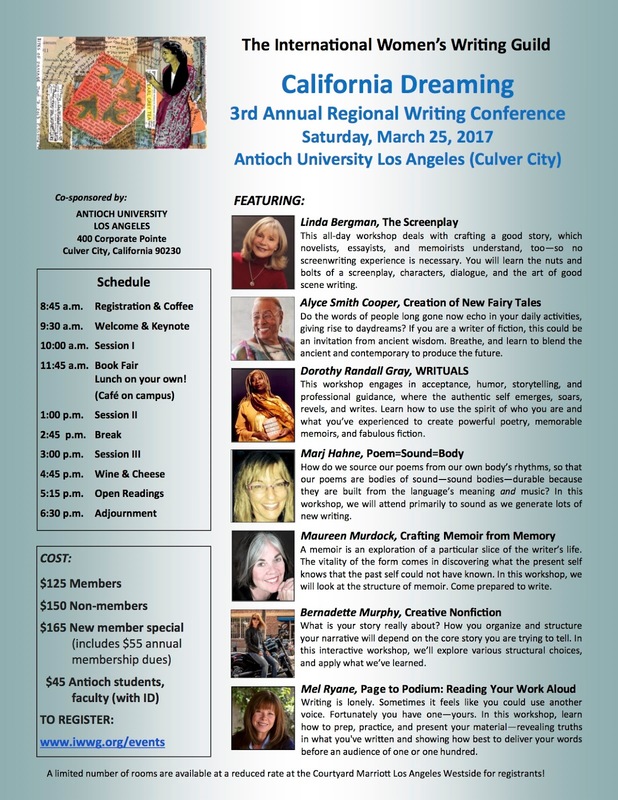 March 25: International Women's Writing Guild's 2017 Regional Conference: "California Dreaming," Antioch University, Los Angeles, CA. 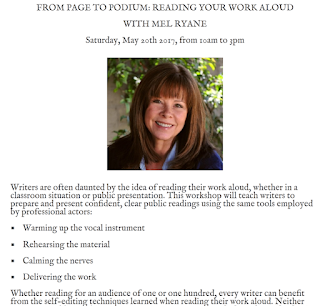 May 20: Flatiron Writers, Asheville, NC. July 7-14: 40th Annual IWWG Summer Conference, Muhlenberg College, Allentown, PA.
March 15: International Women's Writing Guild's 2015 Regional Conference: "California Dreaming," Antioch University, Los Angeles, CA. 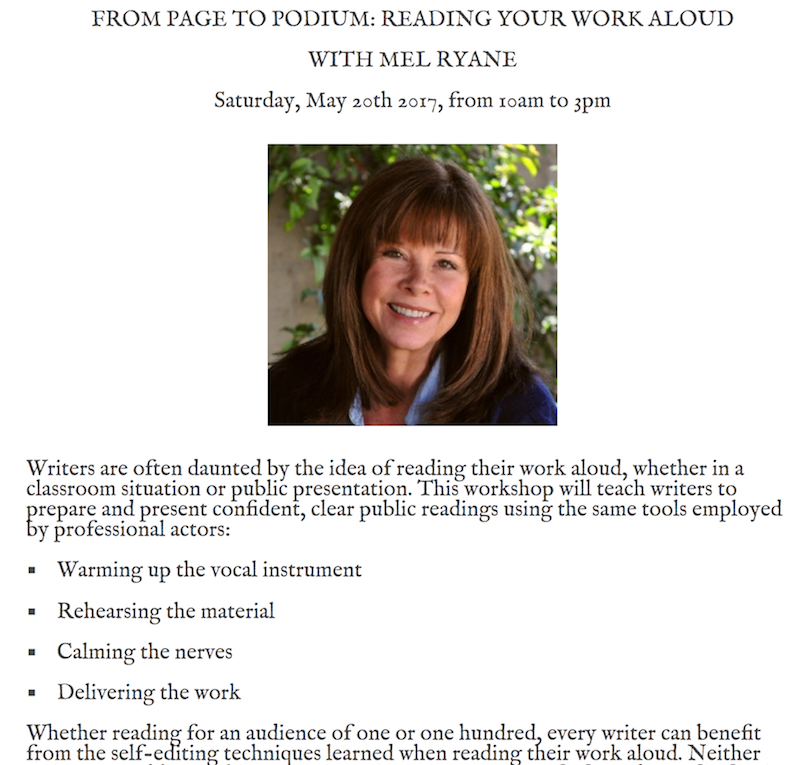 April 25: Flatiron Writers, Asheville, NC. July 24-31: International Women's Writing Guild 2015 Summer Conference, Wisdom House, Litchfield, CT.
April: Flatiron Writers, Asheville, NC. 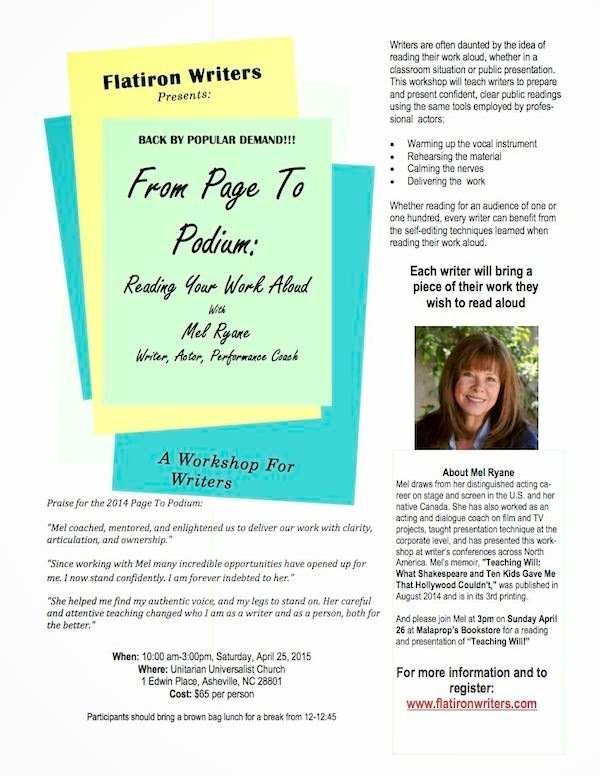 June: "From Page to Podium: Finding Voice & Speaking Out" at Women's Voices, Women's Visions Arts & Activism Symposium, Skidmore College, NY. May-June: Women's Words Summer Writing Week, University of Alberta Extension; Alberta, Canada. August: International Women's Writing Guild 36th Annual Summer Conference, Drew University, NJ. June: Saga Seminars, Mabel Dodge Luhan House, NM.